Une auberge hors du commun! Vous êtes ici pour le confort !!! *** LA PROPRIÉTÉ EST TRÈS SPACIEUSE! Chaque chambre a un seul lit - pas de surpeuplement! Deuxièmement - CUISINE dans le niveau inférieur pour les grands groupes où 11 personnes peuvent prendre un repas assis "ensemble" - comprend un four à micro-ondes et un réfrigérateur. - Stationnement dans la rue pour 3 voitures dans une double allée - doit être garé du côté droit SEULEMENT et DU CÔTÉ DROIT! Politique d'âge en vigueur, les occupants doivent être âgés de plus de 21 ans sauf s'ils sont accompagnés d'un parent ou d'un tuteur. Si vous avez des questions, veuillez nous indiquer la nature de votre visite et le nombre de personnes séjournant dans l’établissement. Juste pour VOUS INFORMER - il y a un appartement ci-dessus avec une entrée arrière complètement séparée - qui peut également être loué (si vous souhaitez occuper toute la maison) - il dispose de 2 lits queen et 4 personnes. Salle de bains 1 est équipée d'un tiroir Dresser / Cabinet 5 dans lequel chacun a sa propre tiroir à inclure leurs accessoires privées. Je vous ai fourni un ventilateur de cheveux pour quiconque d'utiliser. * Politique de Age en effet, les occupants doivent être 25 ans et plus. My family rented this house to celebrate a birthday. There were 8 adults and we fit very comfortably and easily. Trish is very accommodating, thoughtful and an excellent host. She had a signed birthday card for us upon arrival, and even dropped off extra tea towels halfway through our stay. Nice big driveway and we could easily walk to all of the big attractions. I would definitely recommend this house to any group. Thank You for your review. 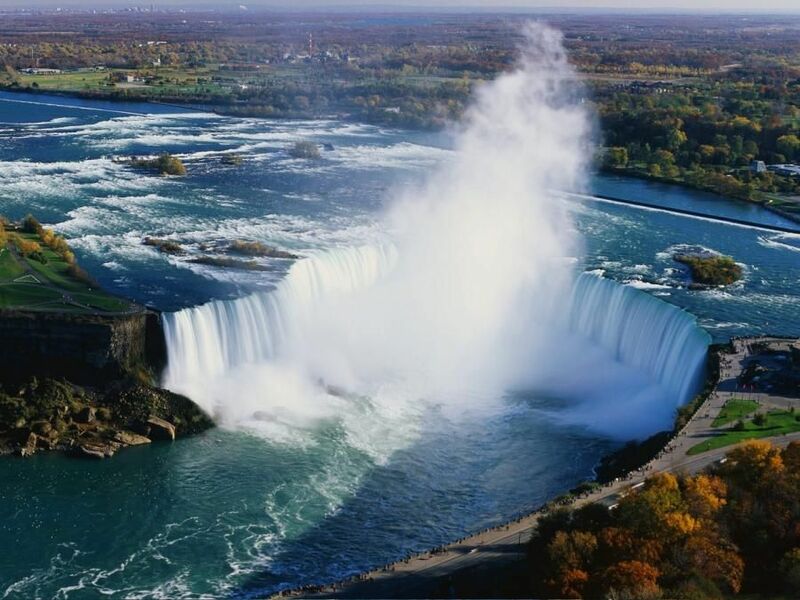 Ii is wonderful to know that you appreciated what my home had to offer and that you took advantage of the location of being able to easily walk to the many attractions at Clifton Hill, the Casino and of course the Falls. I WELCOME you all back. Thank You John! Was a pleasure having you all as guests! My home was treated with respect - left tidy and clean. Welcome back any time. Our family had a wonderful time in Niagara Falls. The house is located in a quiet neighborhood close to the Falls and all the attractions. We were able to walk to many of the places we wanted to visit. We were four adults and six (4 teens, 2 kids) children that stayed at the house. It had just the right amount of bedrooms that we needed for the family and the beds were nice and comfortable. We had plenty of hot water for all of us to shower in the morning and the water pressure was great! We ate-in just about every night. We would cook the meals upstairs and serve it buffet style on the table and we would all eat in the basement. That was the only way we could all hang out together as a group. It worked out just fine for us. The only thing we would have liked to have is a few more conveniences around the house (extra TP, extra tablets for the dishwasher, extra paper towels, and clothes dryer with a longer timer). Overall, we had a wonderful time and it was very nice to meet Trish. She was wonderful to work with. Thank you for the muffins, they were delicious!! Great Neighborhood, Close to Everything! The house is huge - easily fit eight adults. Great deck - we grilled twice on the new barbecue. The house had everything we needed - clean towels, muffins, coffee. The home is immaculate. We walked to the falls, Victoria Ave, Clifton St and the casino. Trish was accessible and very friendly. She gave us several good restaurant recommendations. This is in a quiet and friendly neighborhood - you will feel very safe. I give this experience and home five stars! We were very pleased with our stay at The Horseshoe. The home is located in a quiet neighborhood within blocks of the main drag in Niagara Falls allowing us to leave our cars at home and navigate the city by foot. We had 5 adults and 1 child in our party and we had plenty of room - each of us had our own bedroom. The home was neat and clean upon our arrival. Trish was very accommodating to us and I would definitely stay there again if we every venture back to the area. It was an absolute pleasure to have you in my home. You treated it with respect - like it was your own. Everything was left spotless, not a footprint - just marvelous! WELCOME BACK any time! Thank You! We had a really good time. The house is very conveniently located. We were able to walk to the Falls, Clifton Hill and all restaurants and shops are close by. * Niagara Helicopters * De nombreuses caves * Whirlpool Aero Car ..... et bien plus encore.